Fri, 10/04/2015 - 15:07 Elise D.
Since September 2014, more than 1300 students and teachers from 5 Europeans countries (France, Denmark, Italy, Germany and the UK) have entered the NAO Challenge Europe. The goal is to raise awareness of the benefits of learning informatics and technology by motivating and teaching students on a humanoid robot. For this year competition, high-school students had to imagine how NAO could help a family to live better at home. In less than a month, the finals are starting and for this occasion we offer you the chance to discover one the many teams of the challenge. Discover in this interview the work of The Beginners Team from Italy and what they have been up to with NAO the past few months. [Carla] The team consists of 5 teenagers and a coach. 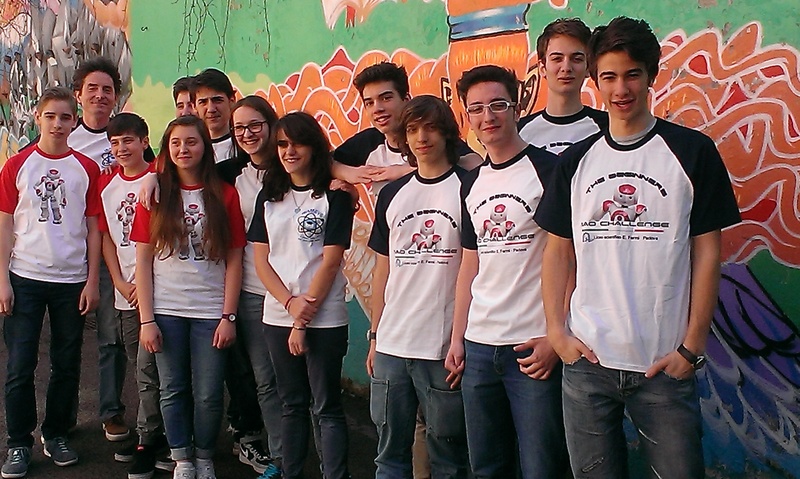 They are all 16 and they attend the third year of “Applied Science” a special course of the high school “Enrico Fermi”, in Padova, Italy. Their team leader..., well, it’s me: their mathematics teacher. 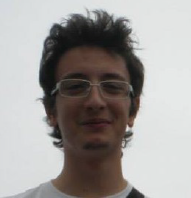 [Alberto] ] I am the team coordinator; I like music very much and I play in a metal group together with my girlfriend, Giorgia, a member of another team, the Team EVE. I am keen on coding and I enjoy programming the NAO very much. 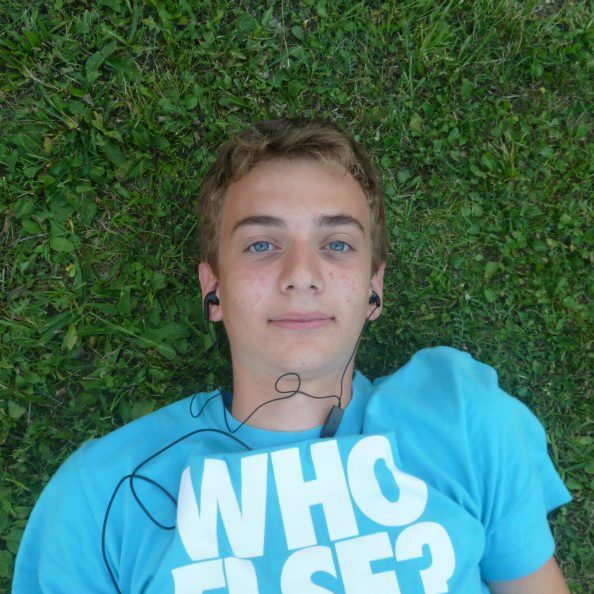 [Alessandro] I am in charge of keeping the web site thebeginners.altervista.org updated. By the way, we are just finishing to set up a youtube channel where we are going to publish the introducing films of the two teams: The Beginners and Team EVE. As you can see, even if we are in competition with the other team, we willingly collaborate and, up to now, we have always worked side by side. 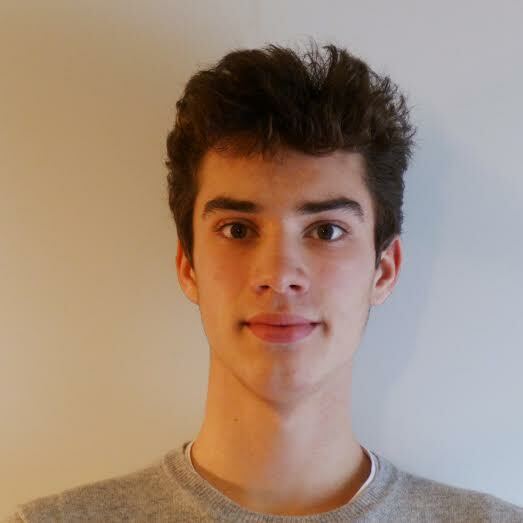 [Giovanni] I'm a basketball player and in this team I act as a facilitator in the relationship between us and the team EVE. During laboratory hours, I’m trying to understand how “Block Math” works, inventing new games for the test "Play with me!". Moreover, I’m looking for possible sponsors to buy our own NAO, which we have named Enrico-Carletto, even if we don’t have it. [Michele] I like video games very much and, for me, programming NAO is a viable alternative to the videogames probably because I'd like to invent my own videogame! .... my character .... I like joking and I’m always cheerful and outgoing. As for the team, I’m studying the Block Wait for Signals and I’m always the first to be contacted by our coach. 2. You do not have a NAO and you have chosen the Nao Challenge amongst dozens of other competitions: Why? How do you manage to prepare the challenge? Did you get any external help? the second one was that when we proposed to join this initiative to our classes they were enthusiastic. 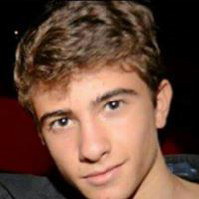 The students declared immediately their availability to spend their free time at school in order to understand how the software Choregraphe worked. It must be noted that they are perfect self-taught students. 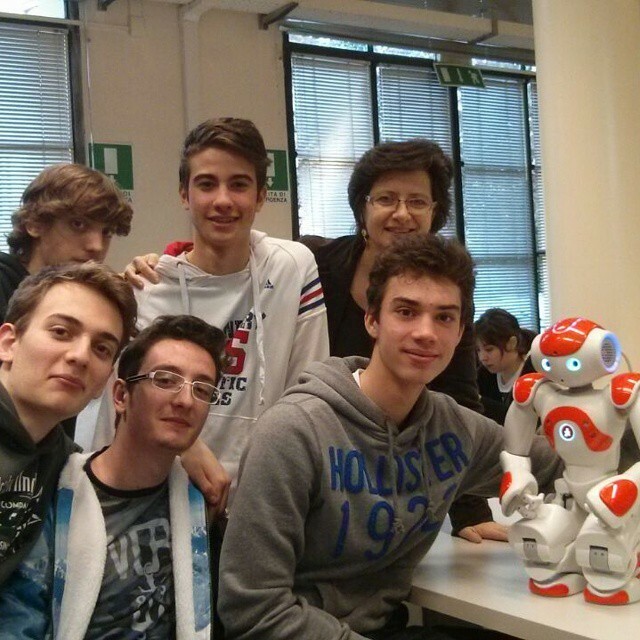 For the time being, we have been able to go twice to the Robotics Laboratory of the University of Padua, at the Department of Computer Engineering, to test the programmed codes on a real Nao. What an effort to make it do what we want! But what a satisfaction! This is the reason why we are trying to buy a Nao for our school, in order to test the fragments of code that we have succeed to produce more often; moreover it would be great if NAO was the mascot of our Laboratory. 3. Tell us more about your amazing fundraising initiative please! 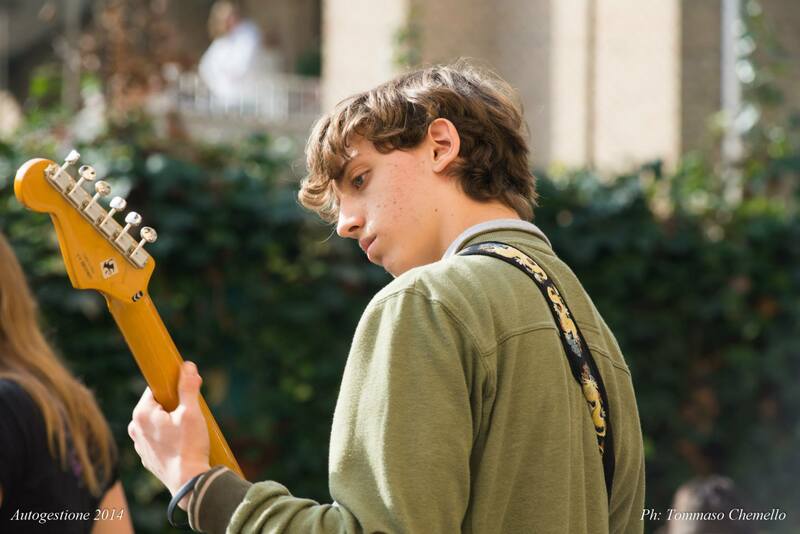 [Carla] After several attempts, unfortunately all quite disappointing, to obtain sponsorships from single companies or organizations, we thought to raise financial resources from ourselves involving all the 950 students at our school. 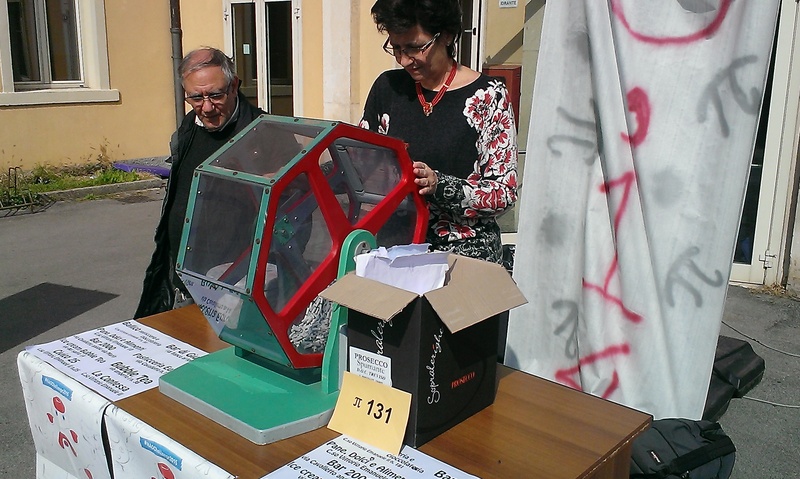 With some parents of the board of the School and with the help of our manager, Mrs Alberta Angelini, we took the opportunity of the PI day of the century to organize a fund-raising day to buy a Nao. We collected 130 prizes from the shops located near the school, which, this time, were very collaborative. The students who withdraw a ticket with the PI won a prize. It was a real success! The event was animated by the students of the theatre group of our school: they sang and played, entertaining all students with their music. We collected over 2000€ in this way, adding the money that the school can allocate we unfortunately haven’t reached the sum necessary to buy the Nao, but we don’t despair ... we already have new, fantastic ideas ... but it’s a secret ... SHHHH ! 4. 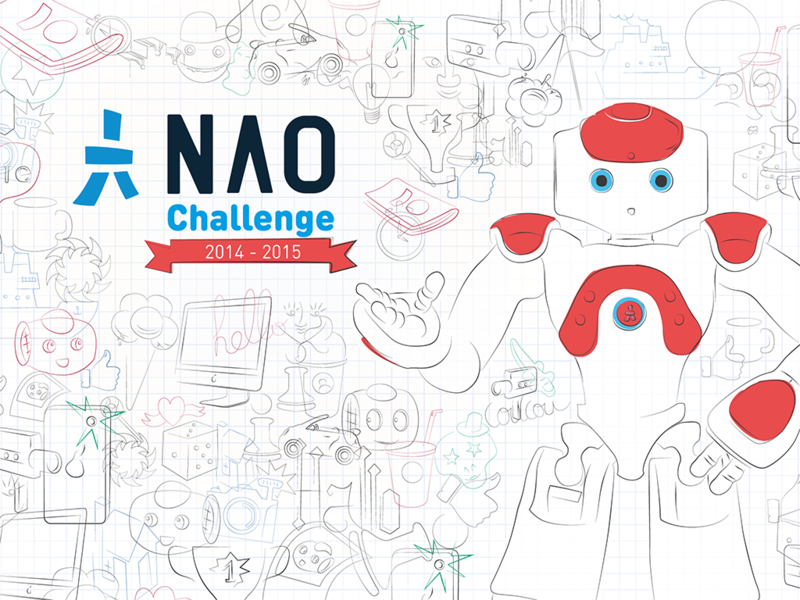 Had the NAO Challenge any great impacts on your students, your school, or anything else? [Carla] Surely this school year has been permeated by the presence of the Nao: posters relevant to the Challenge are hanging everywhere in the school; we draw some comic balloons, which change periodically, on the posters so that it seems that the Nao speaks to those who are walking along the school corridors. Let’s say, we are changing the way to approach it: it’s becoming a kind of “he” not “it. And to tell you the truth, we have already taken steps in order to draw up a project, which is already named "Baby - Goldrake", whose main aim is introducing robotics in the Paediatric Hospital. The idea is that of programming the Nao so that he can become an entertainment for sick children, to release tension before an invasive operation or to make Nao perform repetitive exercises by playing with children. The University - Hospital of Padua will help us developing this project next year. Obviously, there will be more teams formed by students who are interested in the Nao Challenge 2016 and in the "Baby - Goldrake" project. That’s why we think that a well-equipped Laboratory of Robotics could be relevant. Moreover, those afternoon work gathering teachers and students strengthens and motivates the existence of group itself. Then, it allows the teacher to learn and grow together with his students. 5. How did you organize the team, your time & the work? [Michele] We have arranged meetings all Wednesday afternoons. And then part of the work has been carried out by each of us at home and then we informed the other members of the team about our progress during information-sharing meetings. The coach of Team Eve, our teacher of Physics, Alvise Moretti, in order to make us understand the importance of collaboration told us about the experience of knowledge sharing between the two teams during America's Cup. Therefore we think that sharing information is a point of strength of our team. For this reason, to be always updated and to know what’s going on we have created a Whatsapp group with our coach, a chat in Facebook and we regularly exchange e-mails or we communicate through groups of google+ .... It’s a full-time activity! 6. Let’s talk about difficulties… What challenges have you faced & how did you solve them? 7. There are about 200 teams across 5 countries: what do you want to tell them? Here in Italy, we say “In bocca al lupo e che vinca il migliore": good luck and the best will be the winner! But I may add: Let's have fun, enjoy ourselves and, how it goes, it doesn't matter, it has been a success anyhow!